Kate's Closet beauty post = another skincare product review #sorrynotsorry, you may remember my post on another the body shop skincare product I have been using and loving the Camomile cleansing butter, well at the same time I picked that up from The body shop, I picked up The Vitamin E Gel moisture cream, and now I'm going to share with you what I thought. First up, My skin type is what I would say is Normal to combination, sometimes a little oily sometimes on the dryer side, so when I saw this gel moisturiser was aimed at just my skin type, I thought I would give it a whirl. I have used Gel moisterisers before and prefer the consistency to more conventional creams. 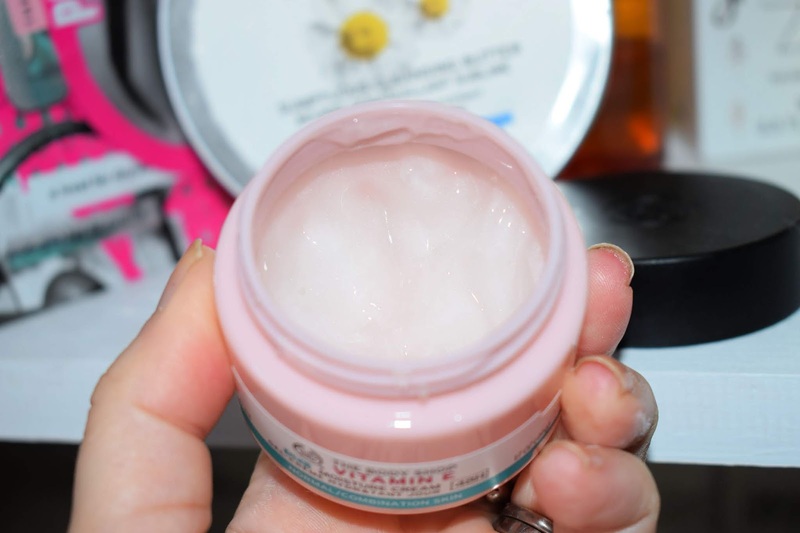 The body shop Vitamin E Gel moisture cream, is a light weight gel, that feels cool on the skin, and adds hydratation without the greasy, clogging feeling that I find some creams can to my skin. I was worried being a gel would mean I would have to use loads of product, but I have been pleasantly surprised you only need the smallest amount to leave skin feeling smooth and hydrated, yet looking slightly mattified rather than shiny or greasy. "Help protect your skin from external aggressors and lock in moisture for 48-hour hydration with our new Vitamin E Gel Moisture Cream. This oil-free, lightweight and fast absorbing daily moisturiser is formulated with natural origin hyaluronic acid, from bio-fermented wheat-germ from Pomacle, France and raspberry extract, containing Vitamin E, to refresh and re-plump with moisture". I have been using the Vitamin E cream for a little over a month now, I use it both morning and night, as I don't like the feeling of heavy night creams on my skin and my skin seems to love it. It doesn't weigh down my skin, it doesn't clog and doesn't feel greasy, for me it's the perfect daily moisteriser. 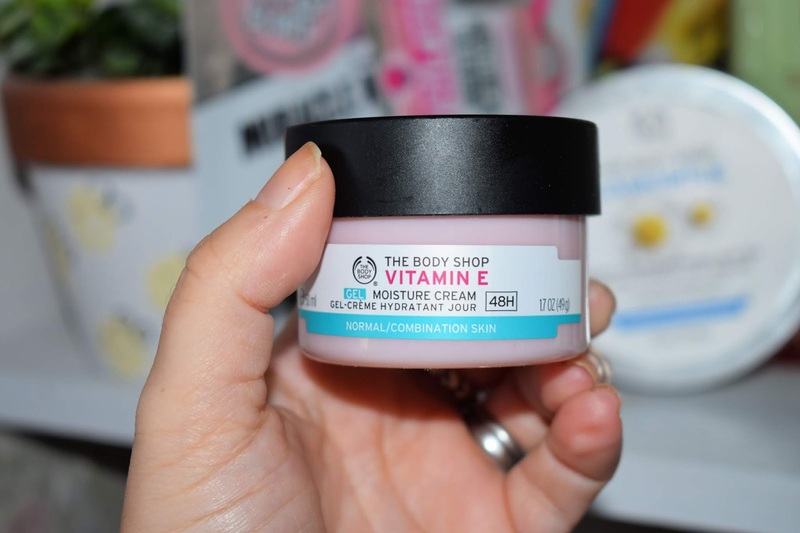 The body shop Vitamin E moisture gel cream is £13 for 50ml tub, so far I have used around 1/3 of the product in a month, which I think makes it pretty good value. I Love the Vitamin E range by TBS, as I'm also combo skin and it' so affordable but I've actually never tried this one. Must keep an eye out for it on my next visit! I have combination skin too so this cream would be perfect for me!